SBI Recruitment 2018 Job alert both Fresher and Experienced can get SBI recruitment 2018 updated on January 20, 2018, notification on recent SBI recruitment 2018 openings across India. This is an exclusive page updated on 20.01.2018 for the latest recruitment notification sbi.co.in from State Bank of India SBI 2018 it contains both active and recently expired Job openings and recruitment notification from SBI 2018. 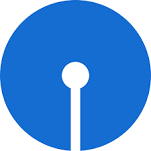 SBI Selection Process: Selection will be made on through Preliminary Examination & Main Examination. Application Fee: Candidates have to pay Rs.600/- (Rs.100/- for SC/ST Candidates) through Online mode. How to Apply SBI Vacancy: Interested candidates may apply online through the website https://www.sbi.co.in from 20.01.2018 to 10.02.2018.